1952 was the last Canadian gold medal before a 50-year drought and was also the last Olympic games before the appearance of the USSR on ice in '56. Represented by the Edmonton Mercurys, a team sponsored by a local car dealership, the Canadians dominated the tournament. The US and Canadian teams were lambasted by the international media for their physical style of play with local newspapers predicting that relations between the US and the Europeans would suffer due to a fight between American defenseman Joe Czarnota and Swiss forward Gian Bazzi. 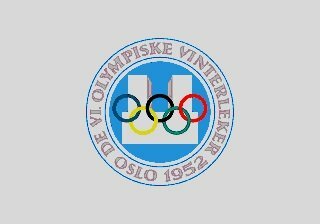 The Norwegian crowds littered the ice with orange peels and labeled the US team "Chicago gangsters". 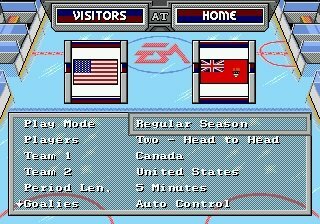 After securing the gold medal the Canadian team was accused of colluding with their North American brethren in order to earn the silver medal for the US squad. 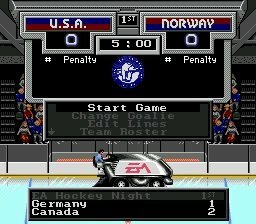 Norway's Dagbladet newspaper described the game as a "friendly" and accused the Canadians of "making such mistakes that even the Norwegian hockey players would not have made". The biggest controversy of the Games was the award of the bronze medal. Czechoslovakia defeated Sweden 4-0 on the final day of the tournament, both teams finishing with identical 6-2 records and equal goal differentials. 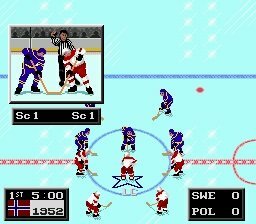 The Czechoslavaks believed that they had won the bronze based on their shutout of the Swedes, however it was determined that the two teams should play again the following day in order to break the tie. 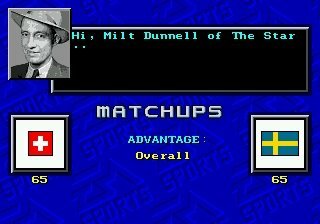 Tre Kronor overcame a 3-0 deficit and won the impromptu "playoff" by a score of 5-3 and sent Czechoslovakia home empty handed. Thanks for this rom! Always nice to get a new historical version! Apologies to my neighbors to the north... I used an earlier version of the Canadian flag that was incorrect. I've uploaded a corrected version and also added a couple screenshots.